These are going to be the main decoration at Ella's dance party. I love them because they are big, bold, super easy and cheap to make! 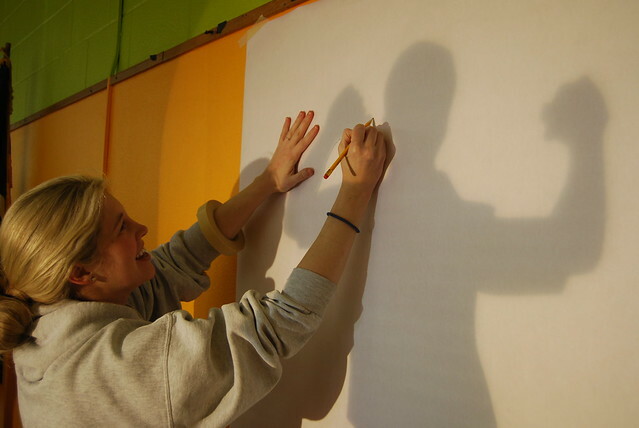 All you need is a large roll of paper, transparency sheets, some paint and overhead projector. I found my paper at a teacher supply store and my sweet friend Amy let me come up to her school and borrow her projector. 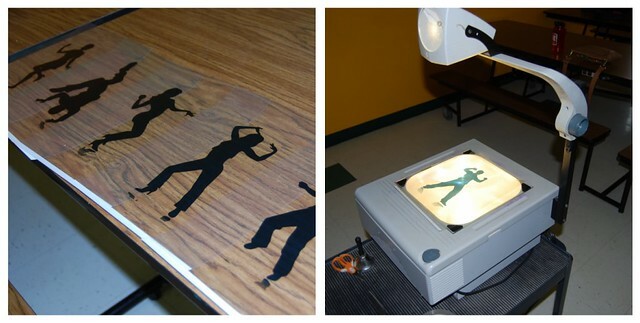 I printed dancing silhouettes on transparency sheets and then blew them up big on the wall with an overhead projector. I just taped the paper up and traced the silhouette image with pencil. My next step is painting the images all black and I can't wait to see how they turn out! If naps all align right maybe I can get started painting them today. Ok, seriously?! You are just too dang creative! Love this idea!! Do you mind sharing where you got the dancing images from? I found the ones that look like this but they aren't that big so if I make them larger to print on a transparent sheet of paper, they are blurry.